1.1 WELCOME TO Abraa.COM'S Verified SUPPLIER™ SERVICE. This Abraa.com Verified Supplier™ Services Agreement (this "Agreement") governs the Gold Supplier™ membership service ("Gold Supplier Service and/or any related Value Added Services (collectively, the "Services ) offered to you by Abraa.com (as defined below) through the web site identified by the uniform resource locator www.Abraa.com (the "Site" or Website ). If you are outside of India, you are contracting with Abraa.com Singapore E-Commerce Private Limited under this Agreement. If you are from India, you are contracting with Abraa.com India E-Commerce Private Limited. The contracting Abraa entity shall be referred to as "Abraa.com". BY SUBMITTING YOUR APPLICATION OR SERVICE ORDER OR MAKING ANY PAYMENT FOR ANY SERVICES WHETHER ONLINE VIA THE SITE OR OFFLINE OR VIA OUR AUTHORIZED SALES AGENT OR OUR AUTHORISED RESELLER, YOU INDICATE YOUR AGREEMENT TO BE BOUND BY THIS AGREEMENT. 1.2 This Agreement applies to all Services and governs all applications or service orders for the Services (each referred to as a "Service Order"). In case of any conflict between the terms of this Agreement and those of a Service Order, the terms of the Service Order shall prevail. 1.3 If a Service Order includes the Verified Supplier Service, this Agreement will take effect on the later of the day when (i) you have paid the total service fees in full under the Service Order, and (ii) you have successfully completed the A&V (as defined below). 1.4 If a Service Order includes Value Added Services only and does not include the Verified Supplier Service, you must concurrently be an existing Gold Supplier member. This Agreement will take effect on the day when you have paid the total service fees in full within the prescribed period set forth in the Service Order or otherwise acceptable to Abraa.com and shall remain in force until the last date of the relevant service periods of the Services unless early terminated in accordance with this Agreement. 1.5 Abraa.com may amend this Agreement at any time by posting the amended and restated Agreement on the Site. The amended and restated Agreement shall be effective immediately upon posting. After posting by Abraa.com of the amended and restated Agreement, your continued use of the Services shall be deemed to be acceptance of the amended terms. This Agreement may not otherwise be modified except in writing by an authorized officer of Abraa.com. or email to support@Abraa.com for fusther assistance. 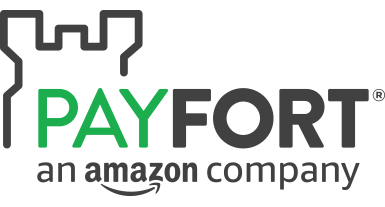 The Payfort & Paypal payment platform is in legal cooperation with Abraa.com. All payments are processed using 128-bit Secure Sockets Layer (SSL) encryption. 128-bit SSL encryption is one of the best commercially-available encryption methods available. Your security is highly important to us. After successful payment, please do not close the page immediately. Your payment will take a short time to register in the Abraa.com payment system. If there are any problems during the payment process, please contact your sales consultant directly or call our service hotline at 00971 4263 3660.